The Safaricom App now allows you to easily and conveniently access M-PESA services! 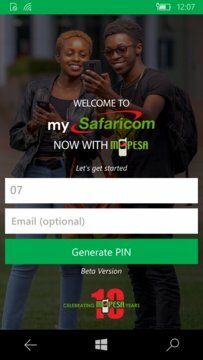 My Safaricom App (Beta) offers the Safaricom customer a convenient self-service channel to manage your account and interact with our customer care team. 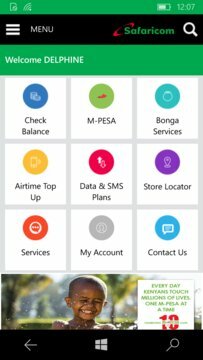 The App now allows you to access your M-PESA account and all other M-PESA services anytime, anywhere.